Since the 1960’s, Ann Knight has been a practitioner of Buddhist meditation. Having been introduced to the teachings of Suzuki Roshi, she began the practice of Zen meditation, finding valuable stability, insights, and compassion while coping with professional and personal relationships in our fast-moving Western society. In 2004, after decades on Wall Street and in the midst of several difficult but heart-opening personal changes, she was introduced To Tibetan Buddhism through Shambhala in New York City. Studying with several teachers in New York and at Shambhala Mountain Center, her practice rapidly stabilized and intensified. Over the course of 5 years, she completed the 2-year Shambhala School of Buddhist Studies and many retreats, including month-long retreats at Shambhala Mountain Center. During this time, she also completed the training for and became a Shambhala Meditation Guide. Moving to Colorado in 2008, she connected with the Carbondale Sangha and began to study with Michael Gregory. Guided by Summit Dharma Center’s meditation instructions and Dharma teachings, Ann’s practice has deepened significantly. 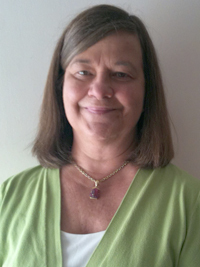 Ann has found Buddhist meditation and teachings to be a profound source of grounding, tranquility, and joy. She feels privileged to share the practice with members of the Mindfulness Meditation Centers.